Often, that means taking on an outside consultant for help, especially when it comes to IT, an area that requires a high degree of technical expertise. Here are major signs that you need an IT consultant for your firm. For a long time now, there have been many ways for people to pay for goods and services beyond cash. In fact, China has long been on its way into becoming a cashless society – and other countries such as the US might soon follow. The point is that cash is no longer king. Shops that accept only cash miss out on people who only use cards or mobile payment apps as modes of payment. This is just one example of how not adopting IT advancements can mean revenue lost to competitors who do. However, should you decide to upgrade your business, it’s crucial to ask which business solution you should go for. Finding an answer is a daunting task, so here’s a tip for you: have an IT consultant completely evaluate your business model and clearly identify what your pain points are. That expert can then work with you to come up with a solution that fits your needs and anticipates future developments as well. If, for instance, you’re opening your second, third, or fourth shop, you know you can’t focus on each shop as much as you did on your first. Since making multiple copies of yourself is not (yet) an option, you have to find a way to have everything managed for success. Efficient IT solutions can help — and you don’t even need to spend a fortune on computers and software. 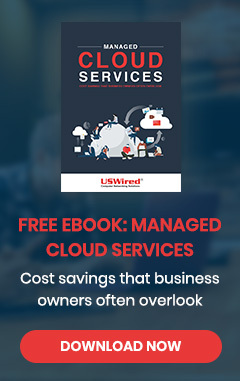 So many business management applications are right there in the cloud — i.e., these programs live on machines that are maintained, kept up-to-date, protected from cyberthreats, and regularly backed up by a third-party service provider. It should be a welcome challenge for a managed IT services provider (MSP) to select the apps your company needs and put them together into one seamless, tailor-fit, and cost-effective solution. “Adapt or die” is a rather dark maxim, but there’s a reason why it’s often repeated: It’s true. If your firm relies on data to operate, then it relies on data to survive. Customer records, inventory tables, vendor schedules… to lose any of these can be likened to losing an arm, a leg, or a head. That said, keeping your data safe is easier said than done. That's because cyberthreats such as ransomware are becoming more sophisticated by the day. You also have to consider how prepared you are if a natural calamity such as a devastating flash flood strikes. If your computers are ravaged by hackers or are submerged in floods, how soon can your business get back up and running again? If you’re worried about external threats to your data, a consultation with IT experts can definitely put your mind at ease. They can identify your vulnerabilities, come up with a bespoke security system, as well as draft backup and disaster recovery plans with you. Missed opportunities, growing pains, and looming external threats are clear and urgent signs that tell you to approach an IT consultant. Talk to us — we have the expertise and experience you need to turn your business into a thriving success.